There, 1 day's work. 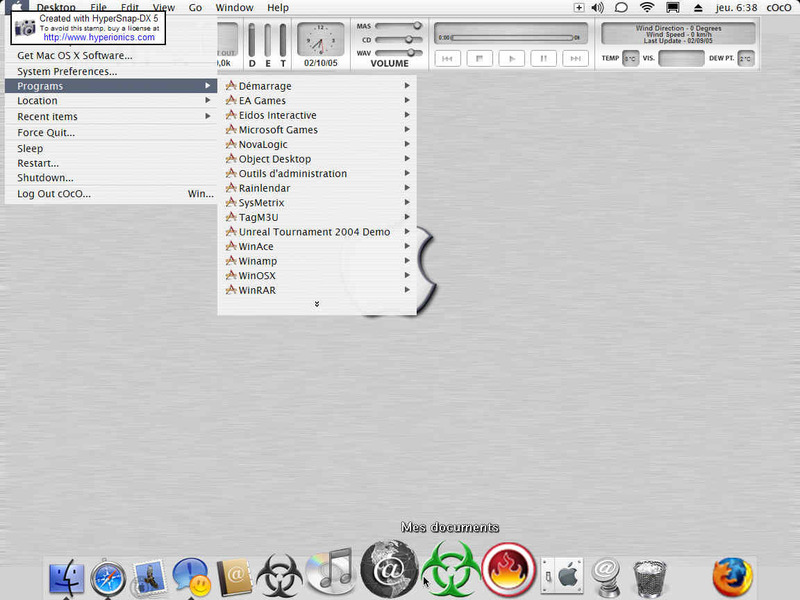 I used WinOSX(www.winosx.tk) including,objectdock ,windowblinds, and for the top mac bar i used objectbar. hope you like it. looks good.. what OB did you use? ...and you say this is a beter one than mine?